PANORAMIC Mountain & City light views amaze & complete this HILLTOP oasis! 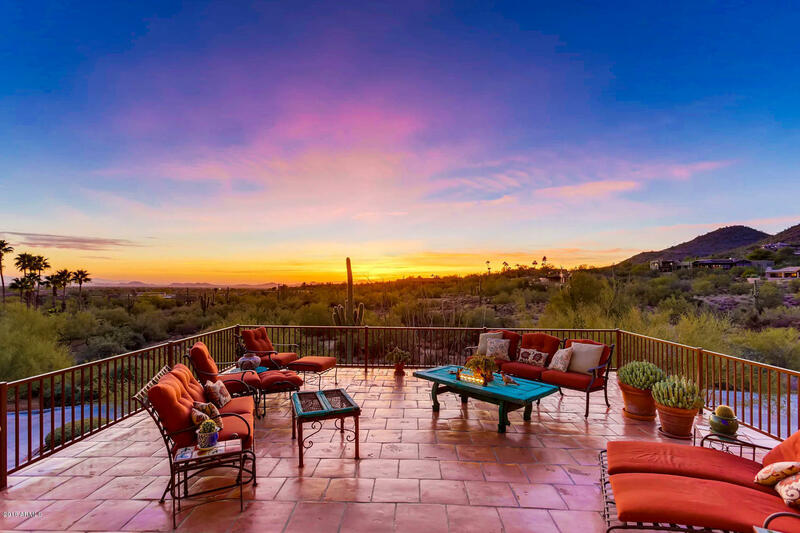 CONTEMPORARY MODERN sophistication meets SOUTHWEST charm that Floats above 1.8 acres of lush desert landscape, this treasure offers a new roof, A/C, 2960 sqft, three fireplaces, dining room with sweeping views, three bedrooms, and two & a half baths. Light filled gourmet kitchen features exotic natural quartz, CUSTOM HARDWOOD cabinets, and the MIELE HIGH END DESIGN appliances include a HUGE side-by-side refrigerator, dishwashers, INDUCTION, steam oven, & plumbed coffee system. The Master suite contains gorgeous views, a substantial walk-in closet, fireplace, & relaxing nook. COZY up by the outdoor fireplace or Resort style pool as you soak in the SPECTACULAR sunrise & sunsets that this home has to offer.